Harley Mazuk and I first met—and bonded quickly—at the series of monthly dinners hosted by the Mid-Atlantic Chapter of Mystery Writers of America. Harley’s a charming conversationalist in person and a great storyteller on the page too, of course; his stories for Ellery Queen’s Mystery Magazine are great fun, including a series featuring private eye Frank Swiver, and Swiver was the hero of Harley’s debut novel, White with Fish, Red with Murder. 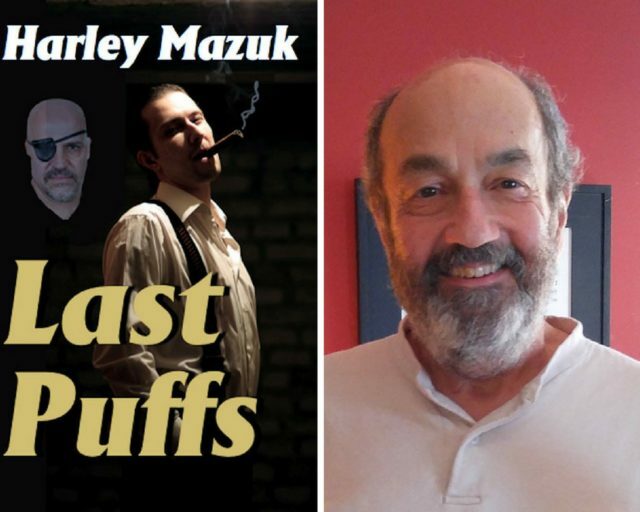 In today’s First Two Pages, Harley offers reflections on the first section of his most recent novel, Last Puffs, charting its evolution over time as he crafted the full book, which I hope you’ll check out here.